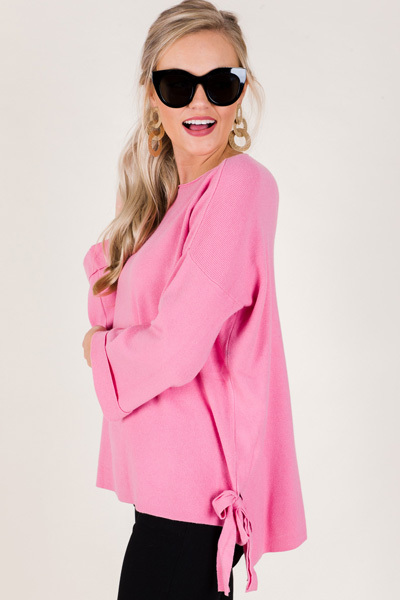 This sweater has a classic fit, the softest ribbed knit, and a high low hemline! But the star of the show are the bow ties details on the sides! 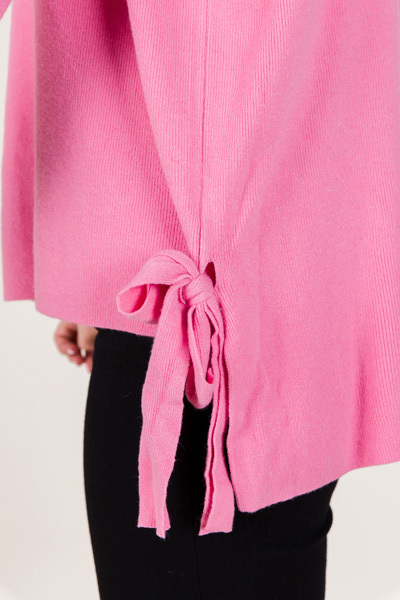 The sleeves are slightly boxy, for a on-trend silhouette! *Also offered in cobalt* Fit is true to size, if not a bit roomy. Model is wearing a small. Length measures approximately in Front/Back: 24/28"